Drawing from the ancient wisdom of the Five Elements of Traditional Chinese Medicine, Robin Ray Green, a pediatric acupuncturist and herbalist with over a decade of clinical experience, offers simple solutions for creating a natural healing program for each unique child you treat. This course will help you gain an understanding of the Five-Element types in children — whether it’s Wood, Fire, Earth, Metal, or Water—to allow you to diagnose imbalances within the body that create health issues. Once you’ve gained a solid understanding of the Five Elements and how health conditions are affected by elemental imbalances she’ll show you how to incorporate your own medicine wheel with techniques including acupressure, massage, dietary changes and meditation to help your pediatric patients achieve optimal health. Robin Green, founder of AcupuncturePediatrics.com, graduated from Five Branches University in 2003 and has been practicing acupuncture and herbal medicine since then. Shortly after graduating, Robin had her first son. When he developed a severe chronic case of eczema and puzzled doctors couldn’t help him, she was distressed. She shifted the focus of her practice and spent several years training with the Holistic Pediatrics Association (now the Holistic Pediatrics Alliance) in search of a cure. It was through this process of healing her son’s eczema that she realized her true calling was working with kids. In an effort to help acupuncture pediatrics go mainstream, Robin has written numerous articles on pediatrics. She has been published in Acupuncture Today and top-rated health blogs. 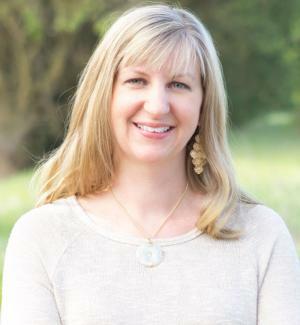 She is the author of the popular blog, www.KidsLoveAcupuncture.com, which offers parents TCM-focused health tips for their kids and connects them with pediatric specialists in their area through the Pediatric Acupuncturist Directory. Robin has a passion for teaching and mentoring - both in-person and online. Her engaging, pragmatic style and her ability to distill clinical pearls have made her a sought-after lecturer in the industry. She offers live hands-on classes in California, and recently created www.AcupuncturePediatrics.com to provide practitioners with step-by-step guidance for building a thriving family practice. There, practitioners will find all of the essential information, resources, training, and mentoring they need to specialize in pediatrics. To help practitioners decide if this is a specialty they want to pursue, Robin is currently developing an online course to teach the essentials of pediatric acupuncture. When she’s not playing with her two sons, she’s busy writing her first book and preparing to launch her year-long post-graduate mentoring program, due out in 2014.